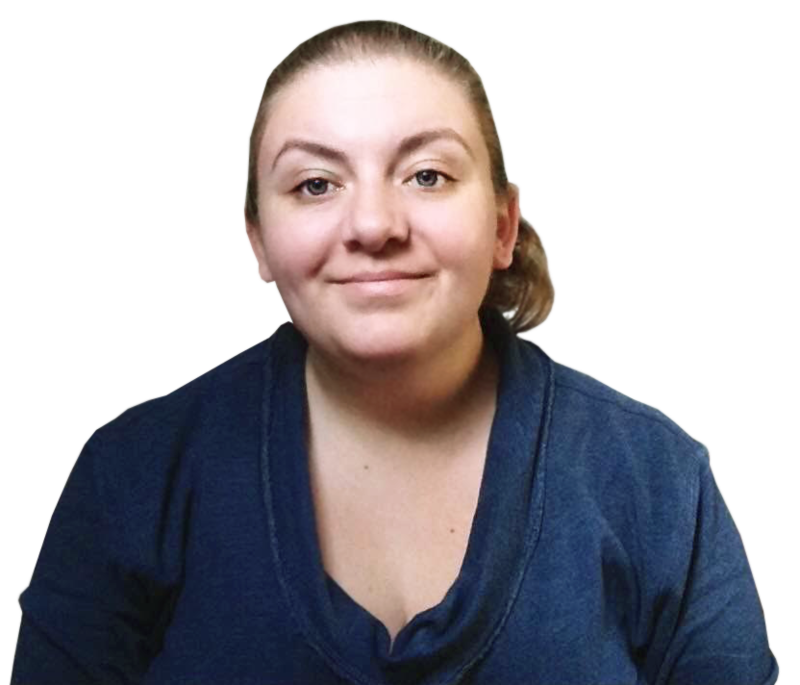 Overwhelmed Trying to Have Rewarding Career and a Life? As adults, we all have a ton of stuff to juggle in our day-to-day lives. Sure, there’s work. Then there’s having a social life. Family. Hobbies. Housework. Errands. The list seems endless sometimes. (I always say I can get all my work done, have a social life, and keep my house spotless, but only two out of three at any given time…). Keeping everything balanced means making choices in what you prioritize, and just as importantly, what you de-prioritize. Cutting things out of your life is an important step to finding (and maintaining) balance. 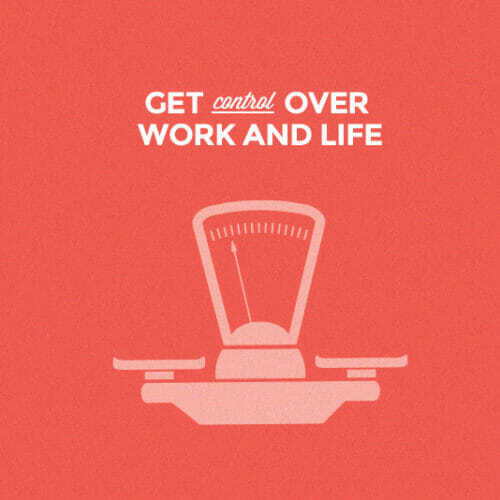 One of the best things to cut to find that elusive work-life balance? Your commute. Working remotely is one of the best moves I ever made in figuring out how to balance working at a job I love with all the other things in life I love. That said, it’s not a cure in itself. Just one tool that you can utilize to figure out how to find an equilibrium in your own life. Here, I’ll talk about some of the key things that it takes to find work-life balance and how remote jobs can help. 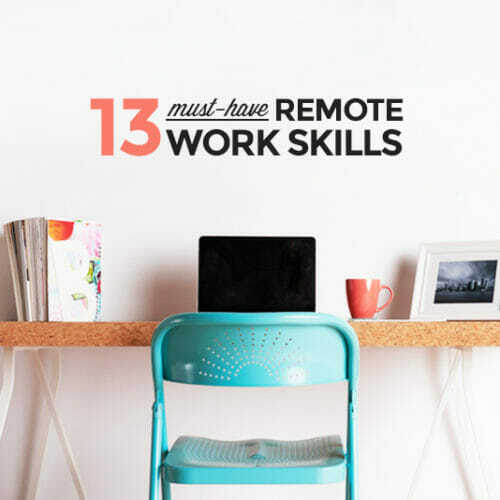 Wondering what it takes to actually get a remote job? 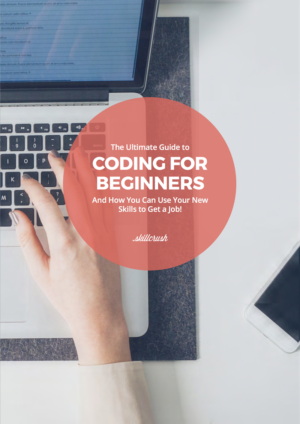 Be sure to download the FREE Ultimate Guide to Landing a Remote Job You Love for insider tips into what it takes to land your dream job. When you work in an office with other people, you tend to arrive at a certain time and leave at a certain time. If you don’t get your work done in the allotted time, you either have to stay late, or you end up having to do even more the next day. When you’re not working in an office (or you’re working from a home office or coworking space), when your “working hours” are can get a little fuzzy. It can be so easy to say, “I’ll finish this up after dinner,” and take off for a few hours in the afternoon. And that’s fine as long as you have the discipline to stick to the schedule you set for yourself. Otherwise, you can end up working all the time, and suddenly you’re working 12 hours a day instead of 8. It’s easy enough to solve that issue with a good schedule, though. And one of the most important things to do is schedule time when you aren’t working. That might mean scheduling lunch out with a friend, date nights with your partner, mid-day exercise classes, time for hobbies, or activities with your kids. Make sure that you block out time in your calendar for the things that are important to you both at work and in your personal life so that you reserve time for those things. Otherwise, it’s too easy for them to slip through the cracks and let the things that are less important take over your life. One of the perks of remote work is that you can often do it from anywhere with a decent internet connection. And it’s great to be able to take working vacations so you can travel without having to take a ton of time off. But it can also be really easy to never take an actual vacation since it’s so easy to work while you travel. So be sure you take a week or two off during the year, without working. Same goes for weekends. Take at least one weekend day off each week if at all possible, and if you can take both days off, even better. Personally, I try to always take at least one day off every week with absolutely no work (not even email). Sometimes I manage to take entire weekends off (I’ve even managed a few 3-day and 4-day weekends around holidays or when I have volunteer commitments). Prioritizing time with your friends and family is vital when you work remotely. It can be so easy to shut your office door and ignore the people around you in favor of work. But setting aside time for meals or other quality activities with the people you love and care about makes a huge difference in how you feel about your life and work. And that doesn’t just mean on the weekends. Set aside time during the week to connect with people other than your coworkers. Set up a standing coffee or lunch date one day a week, either with the same person or with whoever is available. Put important school-related events in your calendar and block out time for them. How many school plays, concerts, games, or other events have you had to miss because of work? Or how much did you hate having to ask your boss to leave the office early so you wouldn’t miss out? Take advantage of the flexible schedule most remote jobs allow to create a schedule that works for you and for those you love, without the guilt. For most remote jobs, working in yoga pants (or your PJs) is totally acceptable. And it can be so easy to fall into the habit of working from home every day, and even not leaving the house for days at a time. But trust me, that’s not the healthiest way to work. Staying tied to your desk 24/7 is a great way to feel like that whole work/life balance thing is nothing but a fairytale. Make a point to get out of the house every day. Even if you only go as far as your front porch, it’s good to get some fresh air. Take a walk around the block. Pop in to your favorite coffee shop. Run a few errands. See and interact with other human beings in real life instead of via video chat. A lot of people think of a super high salary or fancy title when it comes to success. And sure, those are a certain kind of success. But they can come with a lot of sacrifices that you might decide aren’t worth it. 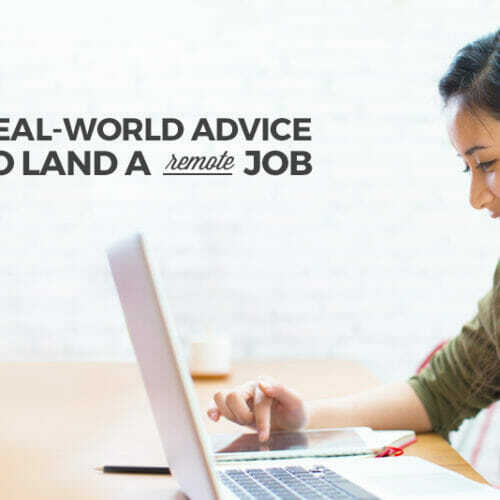 By working remotely in a tech job (one that would be almost impossible to find in my local area), I can make the kind of income I want without having to work 80 hours a week (thereby allowing me to pursue my passion projects and side hustles). You can define success however you want. Maybe “success” for you means spending a certain amount of time each year traveling. Or maybe it means working part time so you can devote more time to your family. Or maybe, for you, success does mean making buckets full of cash (hint: there are definitely remote tech jobs out there that can get you there). 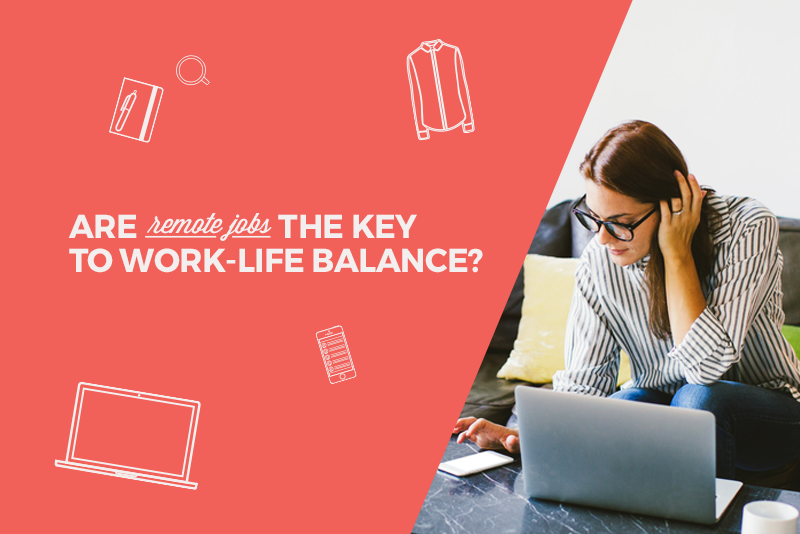 Convinced a remote job might be the perfect way for you to finally achieve work-life balance? 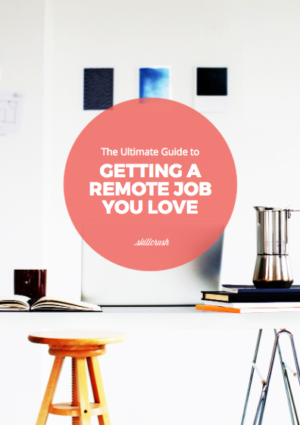 Then be sure to get the FREE Ultimate Guide to Landing a Remote Job You Love for insider tips into what it takes to land your dream remote job.